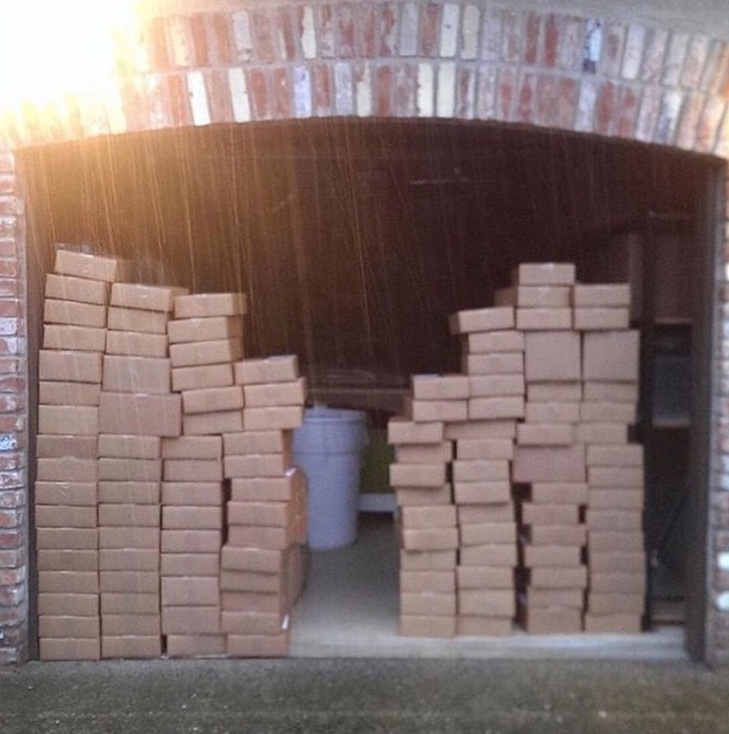 Birthday Freebies; Bows, Bracelets, and Bags, Oh My! No birthday celebration is complete without party favors, right? As Evy’s Tree turns 9, we are excited to offer our customers a chance at scoring some great birthday freebies! But here we are, nine years later, and as part of our birthday celebration we loved the idea of partnering with a few other small but growing businesses. We felt like you would love to be introduced to them too, so here they are…we hope you go browse their shops and support them as you have supported us! Mack + Mae is a really great custom apparel shop for women, moms, aunts, couples, and little glitter-loving girlies. They’ll make something special just for you, but if you look around their current inventory of printed tops you’ll find yourself nodding in agreement, bursting out laughing, or trying to fist-bump your screen in female solidarity. So much truth! 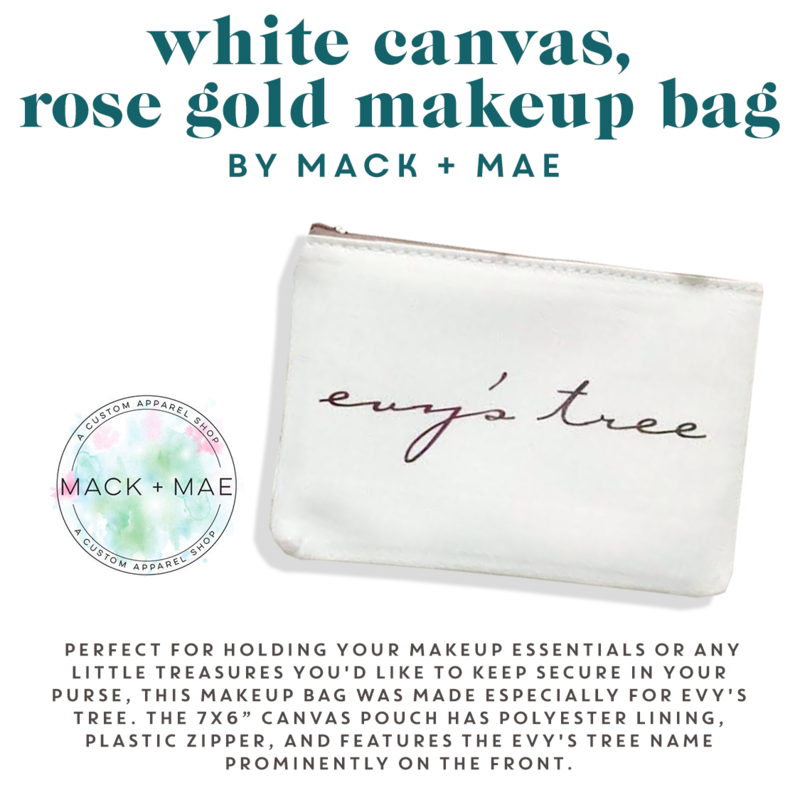 And just for our Evy’s Tree customers, they created a lovely rose gold canvas zipper makeup bag. Perfect for holding your makeup essentials or other treasures.safely in the bottomless black hole that is your purse (don’t deny it, we’ve seen your giant bags of all the things that looks just like our bags…lol!). The BoJu Jewellrey Co. is another great etsy shop, and they specialize in using earthy charms and beads used in inspirational and holistic bracelets, rings, necklaces, and earrings. With everything from fertility to positivity-promoting bracelets, they’ve got something for nearly anyone who visits their shop. 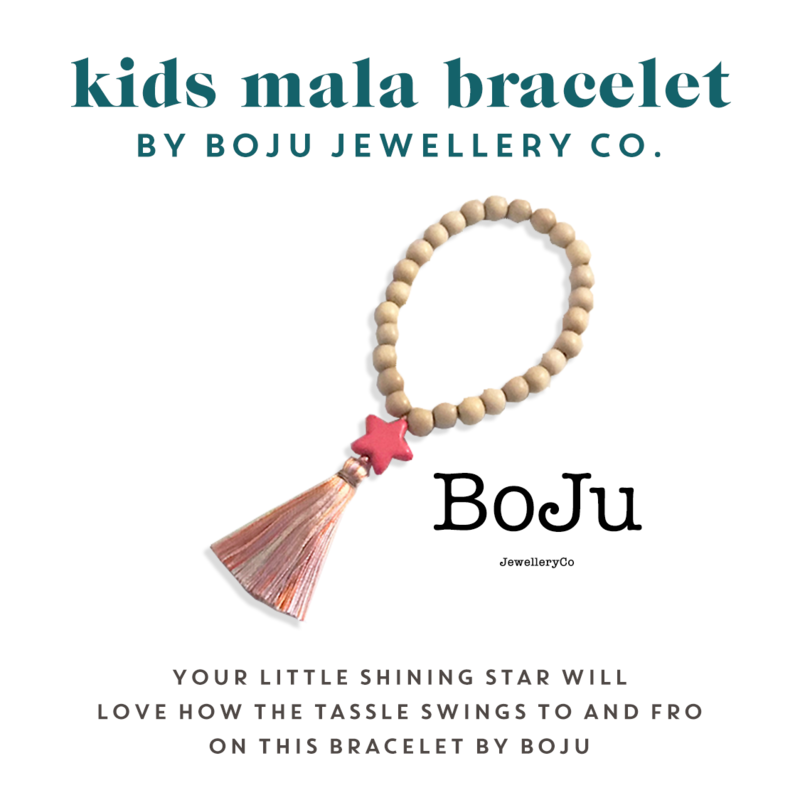 Howlite is a calming stone, also believed to support memory and learning, and this darling BoJu handmade mala kids bracelet features a pink howlite star, whitewood beads, and a fun multicolored striped tassel. Any little girl in your life will love wearing her unique bracelet, especially when paired with her Honey by Evy’s Tree clothing! Lastly, be sure and check out Kathyrn at Bling Fascinators! What YouTube-loving, JoJo-Siwa-following little girl doesn’t love hair accessories and shiny bling? Now she can have both! 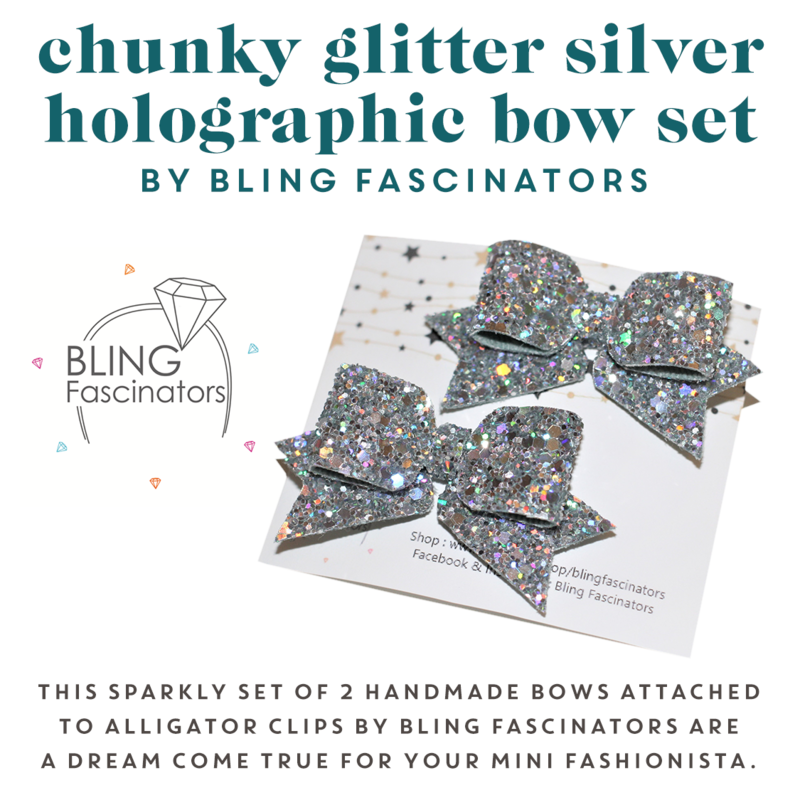 A perfect marriage of bling and bow, this sparkly set of 2 chunky silver holographic fabric small handmade bows by are a dream come true for your mini fashionista. Attached to alligator clips, these are perfect for pigtails, buns, braids, or any couture coif a little lady can concoct! She’s got green glitttery ones perfect for a little Irish fairy ready to purchase now, and don’t miss the custom name earrings she makes as well! Thank you for hanging with us for nine years, or for joining us if you’re a recent or new customer. We hope you stay on this journey with us!